Located in Long Island City at 27-29 Queens Plaza North, Queens Plaza Park will soon be one of the tallest skyscrapers in both Queens and New York City. It is also addressed as 29-37 41st Avenue. The 755-foot-tall, 67-story tower is nearing completion of its concrete foundations, and vertical ascent should begin sometime in the first half of 2019. A new updated design by Handel Architects was revealed back in April, and features a concave-shaped glass building. Selldorf Architects is designing the interiors while The Durst Organization is in charge of developing the 978,000 square foot tower. 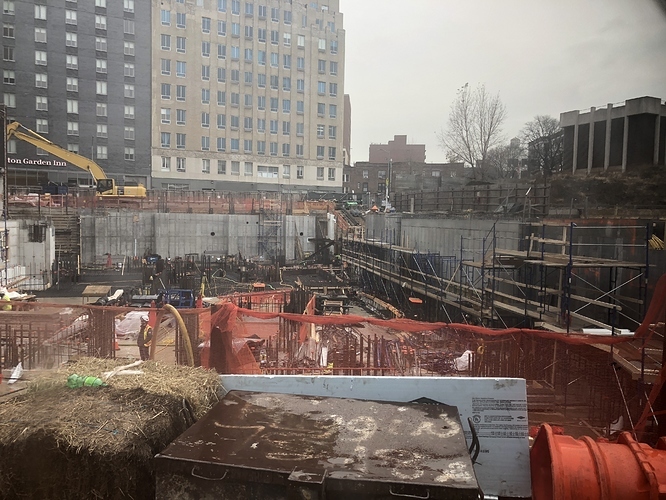 Photos taken by Yimby user, JC_Heights, show the foundations close to completion and almost ready for the construction crane. The foundation walls are also mostly finished. 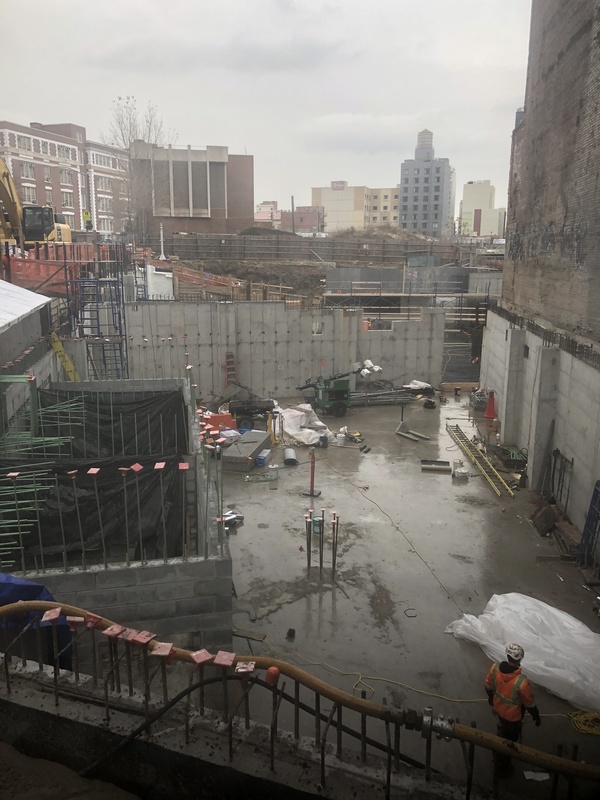 Due to the unusual shape in the building’s footprint, the adjacent Long Island City Clock Tower and elevated subway lines along Northern Boulevard, the foundations were a little tricky to get started earlier this year. The Long Island City Clock Tower sits next to the site and will not be demolished. The landmarked Art Deco structure and its interiors will be restored and included in the new project’s retail base, which will measure about 50,000 square feet. Thanks to its close proximity to the E, M, and R trains at the Queens Plaza subway station, access to Queens Plaza Park and the retail and commercial space should be fairly easy for those living nearby or locals and tourists coming from the other parts of New York City. Inside, there will be 958 residential units. 300 of them will let as affordable housing. Amenities include an outdoor pool, a 20,000 square foot gym, a resident’s library, co-working space, a children’s playroom and a demonstration kitchen. A public park will sit at the base measuring half an acre when completed. No completion date has been announced yet. 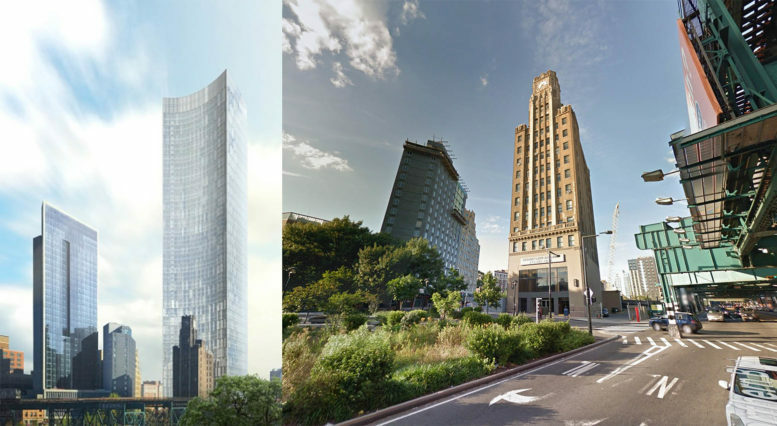 5 Comments on "Second Round of Long Island City’s Skyscraper Boom Gets Underway as Durst’s 67-Story Queens Plaza Park Begins Rising at 27-29 Queens Plaza North"
News Flash: Queens IS a part of New York City. You might’ve missed it. Oh, it happened January 1, 1898. You must’ve meant Manhattan when you mistakenly wrote “both Queens and New York City.” You’re welcome. The statement was not exclusive, it will be one of the tallest buildings in both Queens AND New York City. The court square tower is also above ground but I don’t remember seeing an update here.